Originally posted July 24, 2014, 10:31 a.m.
A research professor at the Eshelmen School of Pharmacy died at UNC Hospitals on Thursday morning from wounds suffered during a beating and robbery Wednesday afternoon. Now, the two suspects in custody for the assault face murder charges. Chapel Hill police found 59-year old Feng Liu, of Greyfield Boulevard in Durham, suffering from serious head wounds on West University Drive shortly after 1 p.m. on Wednesday. According to the News and Observer, prosecutors said Liu was hit in the head with a rock. Police arrested Derick Davis II, 23, of Scots Pine Crossing in Durham and Troy Arrington Jr., 27, of Johnson Street in Chapel Hill. Both men face charges of murder, felony robbery, and assault. 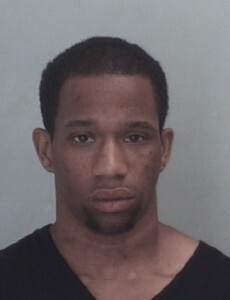 Davis is being held under a $100,000 secured bond and Arrington Jr. is being held under a $75,000 secured bond. ***Update from Chapel Hill Police July 25, 2014, 8:46 a.m.: Derick Davis II and Troy Arrington Jr. have been charged with First Degree Murder in the death of Feng Liu. Davis and Arrington are currently being held in the Orange County Jail without bond. 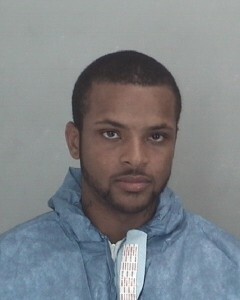 ***Update from the News & Observer: Arrington was reported to be in between drug rehab programs. He scheduled to meet with his pretrial-release manager the same day of the attack. 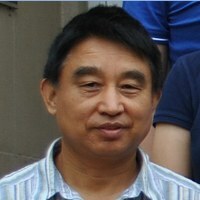 Liu studied pharmaceutics science at Shenyang Pharmaceutical University in China and received his PhD at the University of Pittsburgh School of Pharmacy. His research focused on gene and drug delivery. After the news of the death of the UNC professor, many people on social media showed their concern that the incident occurred in the middle of the day in a residential area. WCHL’s Mary Yount went to Franklin Street yesterday afternoon to gather reactions. The death of Professor Feng Liu as a result of a serious assault and robbery Wednesday afternoon is a horrible tragedy and a loss for the Chapel Hill community. A safe and secure environment is fundamental to our quality of life in Chapel Hill and, as a community, we must not tolerate such senseless violence. The Town and the University continue to partner on those matters impacting quality of life in Chapel Hill, public safety being chief among them. Two suspects are currently in custody in the Orange County Jail in connection with this horrible incident. I have the utmost confidence in the investigation that is being conducted by the Chapel Hill Police Department, which will provide information to the public as it becomes available. I offer my heartfelt condolences to Professor Liu’s family, friends, members of the University community, and all who knew him. I am writing in regard to the tragic loss of a member of the Carolina community. As many of you know, Dr. Feng Liu, a research professor in the Eshelman School of Pharmacy, passed away this morning in what the Chapel Hill Police Department is calling a robbery/homicide. This is a tremendous loss to Carolina, and I am heartbroken over this horrible tragedy. My thoughts and prayers are with Dr. Liu’s family, colleagues and friends during this difficult time. Dr. Liu spent nearly 10 years at Carolina and was dedicated to the success of his students. He conducted important research on gene and drug delivery in the School of Pharmacy. Most importantly, he was a loving husband and father who will be greatly missed. The Chapel Hill Police Department has arrested two individuals in connection with this tragedy. We will update the University’s Alert Carolina website, http://alertcarolina.unc.edu, as new information is available. The University is cooperating fully with Chapel Hill police in this investigation. I want to assure you that safety and security of students, faculty, staff and visitors on Carolina’s campus and in the surrounding community is my highest priority. During this time of loss, the Carolina Community has resources to help us in our grief. We are making counseling resources available. We encourage students to call Counseling and Psychological Services (919-966-3658), and faculty and staff to contact our Employee Assistance Program (877-314-5841), if you would like support. I encourage all members of the Carolina Community to process their grief and support one another.